Zac lives with his grandfather, Pops. When Pops is killed by muggers, Zac is devastated. 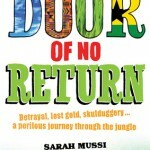 Dumped with foster parents, then in an orphanage, Zac stumbles from trouble to trouble, but the one thing he hangs on to is Pops’ obsession with their family history and his ambition to go to Ghana in search of a ransom paid by a descendant 200 years earlier, to keep his son from slavery – a ransom stolen by British government agents at the time, which then disappeared. At least, Zac thinks, he can keep faith with Pops by continuing his quest. So Zac wangles his own way to Ghana. 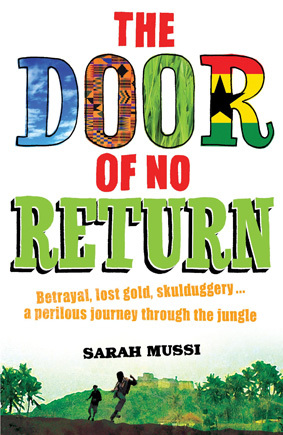 Alone and far from home, he discovers that Pops’ death and everything since is part of a wider plan by some shadowy others, also connected to the lost ransom. 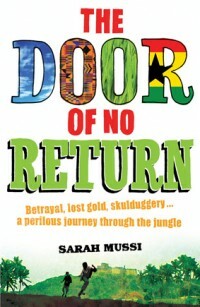 In a web of intrigue, deception, betrayal, skulduggery and murder that reaches out of the past to entrap everyone in the present, Zac’s quest culminates in a perilous voyage to the Door of No Return in the walls of the ancient slave fort – through which the slaves were once herded to the boats that would take them across the ocean, on a journey many of them would never survive. This entry was posted by admin on July 16, 2012 at 1:58 pm, and is filed under . Follow any responses to this post through RSS 2.0.Both comments and pings are currently closed.